But is he healthy enough to play? In the short time since Tim Thomas has worn the black and gold he’s been traded twice, played in three games and suffered an injury. Thomas decided to sit out the lockout shortened season last year and his rights were traded to the New York Islanders so that they could hit the salary cap floor. He was then traded to the Florida Panthers where he has started three games. He let in two in a win against Dallas, and former Stanley Cup winning Bruin Tyler Seguin, and was pulled after letting in five against St. Louis. His next start didn’t go so well either. Thomas let in two on five shots just 7:30 into the game against Philadelphia last week and left the game with a groin injury. Thomas hasn’t played since suffering the injury but all reports say that he will be in net to face his former team tonight. There is no doubt that Tim Thomas was spectacular while playing in Boston. Two Vezina Trophies, a Conn Smythe and a Stanley Cup were all amassed by the now 39 year old goal tender while he was here. 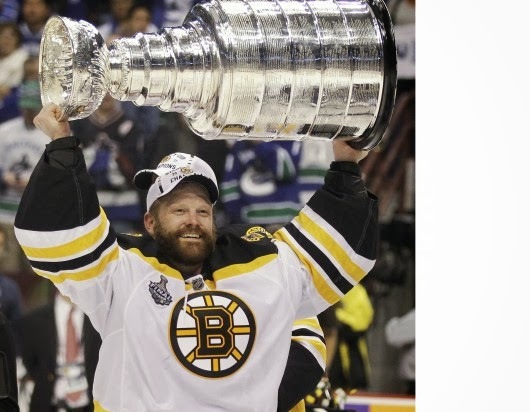 He may have left a bad taste in a few people’s mouths when he left Boston but I say all can be forgotten just thinking about the joy he helped bring to the area with that Stanley Cup winning season. Can he still play like he did a few years ago? That is still left to be seen. I think he is being rushed back from his injury, no matter how slight or severe it may have been, in order to make headlines, fill the BB&T Center, and for once get people talking about the Florida Panthers. 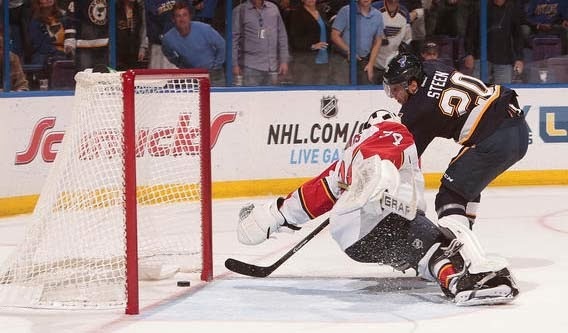 We’ve all seen how an injured Tim Thomas can play. In case we have all forgotten we got a glimpse into the future with Tuukka Rask as a starting goal tender in the 2009/10 season. Thomas was off his game and Rask had eventually taken over the starting role and lead the team into the playoffs where there were seven games against Philadelphia that are too painful to go into. It turns out that Thomas had been playing through the season with an injured hip. It was bad enough that he required off season surgery. In the following year the season started off with the goaltenders splitting time before Thomas had once again proved that he was the number one goaltender in Boston. He then helped lead the team to their first Stanley Cup in 39 years. My point being that for Thomas to be the Vezina candidate he can be he needs to be as close to 100% as he can be. With Thomas fighting off an injury, and unspectacular play thus far, this might be the jump start the Bruins need to get their offensive juices flowing. With one win in their last three games, including being shutout at home against Colorado, the B’s could definitely use an offensive confidence booster. It could also help that some of the current Bruins have some mental notes on how to beat Thomas from their time spent taking shots on him during practices the years he was here. Milan Lucic thinks that it could be helpful. I do remember the places where I did score in practice, but I’m not going to say, just in case he reads about it. Luc knows games are a lot different than practice. He says they’ll play it by ear but having some ideas of Thomas’ weak points can only help. You think back of the saves he would make in games, where he was out of position and he would make his way over and all that type of stuff, so for a scouting report I really don’t know what to expect because a game is much different than a practice. I guess you’re just going to have to go on instinct. It will be a strange feeling hearing Jack Edwards scream out, “Saved by Thomas,” and being disappointed by it. Hopefully we won’t be hearing him say it too often tonight.